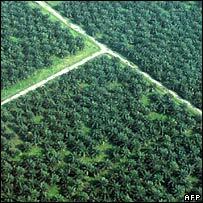 A UN report warns that a hasty switch to biofuels could have major impacts on livelihoods and the environment. Produced by a cross-agency body, UN Energy, the report says that biofuels can bring real benefits. And it concludes that biofuels are more effective when used for heat and power rather than in transport. "Current research concludes that using biomass for combined heat and power (CHP), rather than for transport fuels or other uses, is the best option for reducing greenhouse gas emissions in the next decade - and also one of the cheapest," it says. The European Union and the US have recently set major targets for the expansion of biofuels in road vehicles, for which ethanol and biodiesel are seen as the only currently viable alternative to petroleum fuels.